Maria Montessori was a passionate advocate of world peace. She believed that children are the key to achieving peace and she endeavoured to instill a sense of humanity in her students. 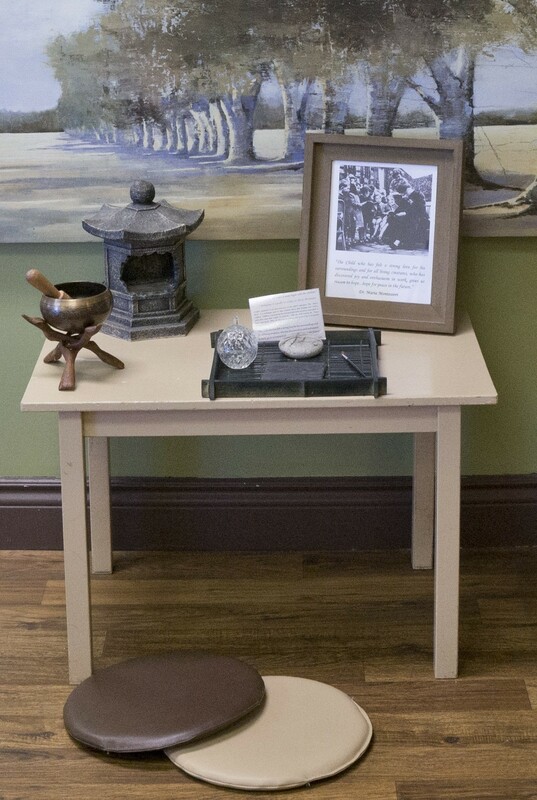 Many Montessori classrooms have incorporated the use of a Peace Table as a means to manage conflict within the classroom, where students can express their feelings to one another or seek solitude in an effort to prevent conflict from escalating. 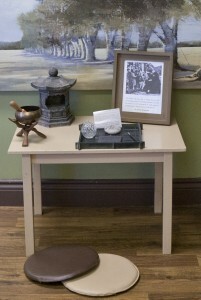 Upon discovery of a disagreement, students in dispute are encouraged to visit the Peace Table. This area of the classroom might be an actual table, or simply a quiet place within the classroom environment which is dedicated for children to use when they need to work out their differences. A symbolic item will be found at the peace table, such as a small rock garden, lantern or flower. The item can be to passed back and forth, signalling when it is a child’s turn to speak. Students are encouraged to take the lead in conversations, with a teacher merely facilitating as necessary to support a positive and peaceful solution. The ultimate goal of this process is to help children independently recognize when they need to seek conflict resolution, without the intervention of a teacher or other adult. They are able to practice the skills necessary for effective communication, including listening, taking turns and not interrupting. Participants learn how to take responsibility for their actions and offer solutions on how to help the other child to feel better. The spirit of compromise and compassion is fostered in an environment utilizing the concept of the Peace Table and students discover that they are capable of solving problems independently. This sentiment is reinforced throughout the Montessori philosophy, as children are prepared to make conscious decisions that develop strong relationships and communities. Through peace education, Montessori works to build a more tolerant and harmonious world, one in which we all have the skills to become effective peacemakers. 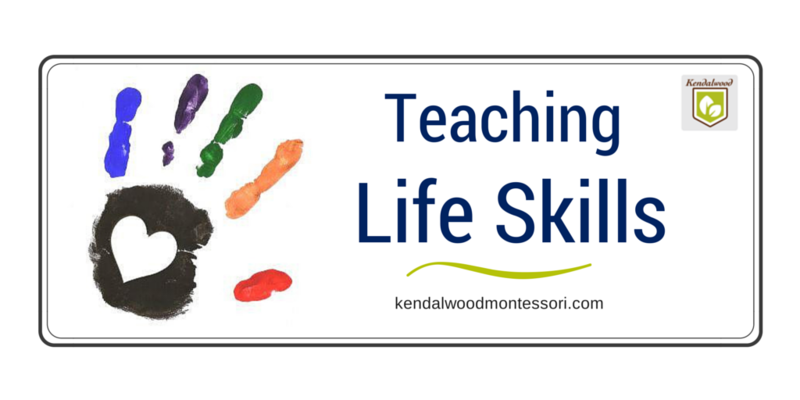 At Kendalwood, we work to cultivate Maria Montessori’s vision of the future at all levels. This investment in our children will have a lasting impact on them as individuals and as a community, through a strong internal compass pointing towards peace and compassion. Understanding Montessori Materials – The Knobbed Cylinders Why Does Montessori Still Teach Cursive Writing?